Robert Gordon is Professor of Theatre and Performance at Goldsmiths, University of London, UK, and Director of the Pinter Research Centre in Performance and Creative Writing. His research has focused on modern British theatre, the theory and practice of performance and on musical theatre He has published books on Stoppard and Harold Pinter, on modern acting theories and edited The Oxford Handbook of Sondheim Studies and is co-editor of The Oxford Handbook of the British Musical. "Gordon has spent his life closely chronicling the lives of his hometown's most famous and obscure sons and daughters . . . [He] weaves these tales together with cogent self-analysis, creating a narrative that's both a biography of his city and the story of his own sentimental education." 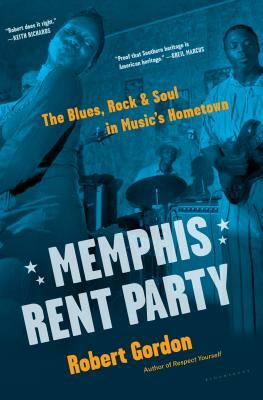 - Ann Powers, NPR, "Best Books of the Year"
"There's no better guide to the back streets, studios, picnics, and juke joints of Memphis and north Mississippi than Gordon." - No Depression, “Notable Books of the Year"